Point Loma was one of the original 8 west coast lighthouses, built in 1855 in the Cape Cod style that was used for all of them. The forty foot tower rises from the center of the keeper's house, fitted with a third-order fresnel lens. 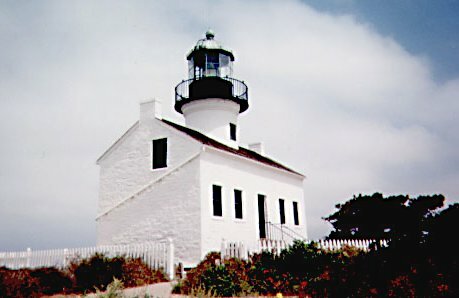 Today Old Point Loma Lighthouse is the centerpiece of Cabrillo National Monument, with a spectacular view of San Diego Harbor.